The Horizontal Chin-Up offers the same benefits of traditional pull-up exercises but also allows the user to balance his or her feet on a platform, enabling them to control the amount of body weight they're lifting with their arms. With the Plyometric Box acting as the platform, users are also able to perform elevated push-ups, step-ups, dips, and other balance exercises. 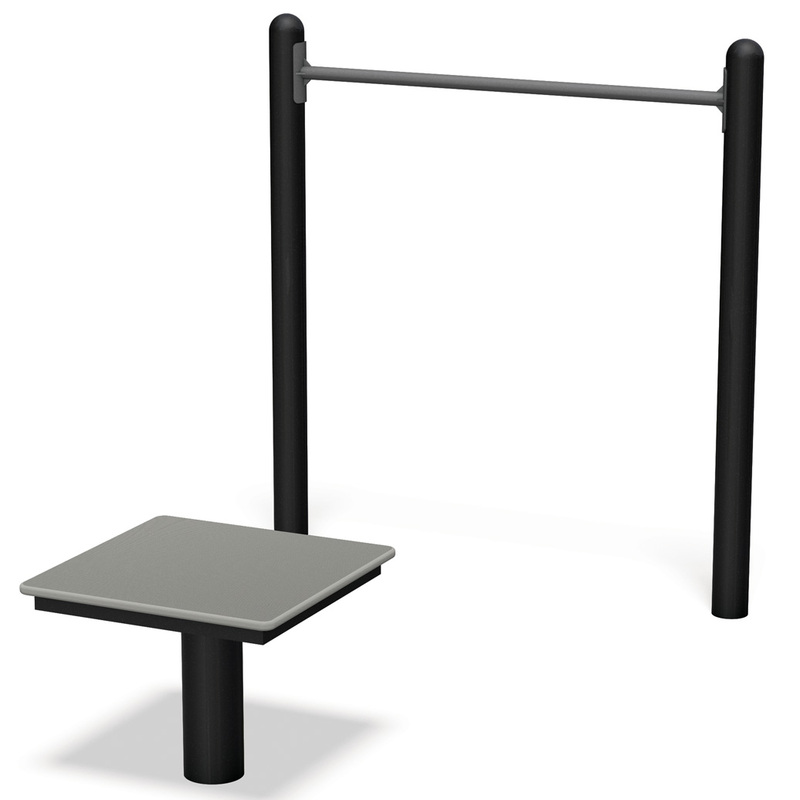 That makes this piece of outdoor fitness equipment a multi-use exercise station, which also creates a unique space saving option for your fitness park or trail. The Horizontal Chin-Up is built of commercial-grade steel, and made rust-resistant with a high-quality, long-lasting powder-coated finish. The Plyometric Box is constructed of textured high-density polyethylene (HDPE) plastic surface, which provides excellent traction while you exercise. Both pieces are done in a black and metallic color scheme to match the familiar exercise equipment you find in a regular club gym. The metal posts, bars, and welds are guaranteed under a limited 10-year Warranty. The stainless steel damper, and tamper-resistant housing are covered by a limited 5-year Warranty. The bearings, plastics, rubber parts, and pedals are guaranteed under a limited 2-year Warranty. Warranties exclude cosmetic damage/defects. Price includes Push-Up assembly only, uprights sold separately. 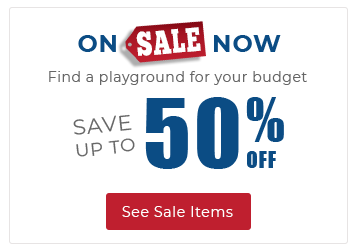 Price does not include footing, bolts, or other mounting hardware.